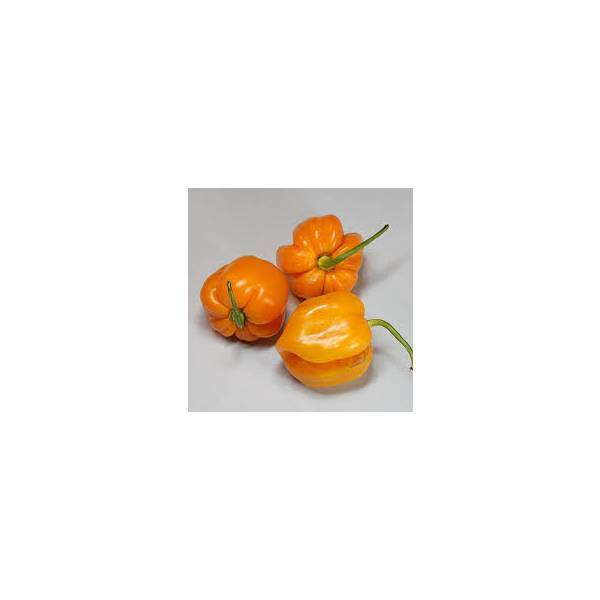 Roatan Pumpkin Habanero is a variety of Capsicum Chinense, comes from Roatan Island off the coast of Honduras. 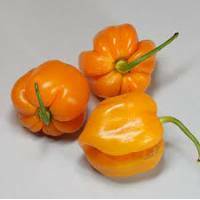 The pods have a pumpkinish shape and lovely orange colour when they are ripe. The plants can grow up to 1 meter tall in a pot and have a very well production.